Sharing a hand embroidery pattern Today. It can be used as a floral border. It is designed by me for my readers and free for non commercial use. Border designs can be repeated along a line. They used to be used on items such as table cloths and tray cloths etc but today stitchers are more likely to use them on cushion. For instance this placed off centre running down the side of a cushion would have a very contemporary touch. Another place you see border designs is on items such as bags purses and totes. Of course crazy quilters often adapt border desings to add to seam on crazy quilt block. The main lines of the design could be worked using surface embroidery stitches using back stitch, chain stitch, whipped chain stitch or stem stitch. 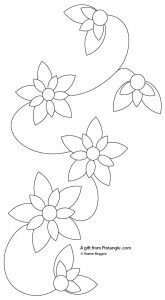 The flowers could be filled with a stitch such as Satin Stitch or Outlined Satin Stitch. 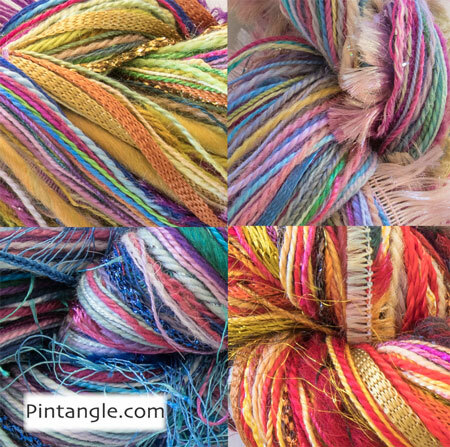 Follow the links to tutorials if you need information on how to work these stitches. Click on the image to see a larger version which you can save to your desktop for use. Scale the pattern in graphic program to fit the project you choose. If you need to know how I would transfer this pattern to fabric, I have a tutorial on how to transfer embroidery designs to fabric. 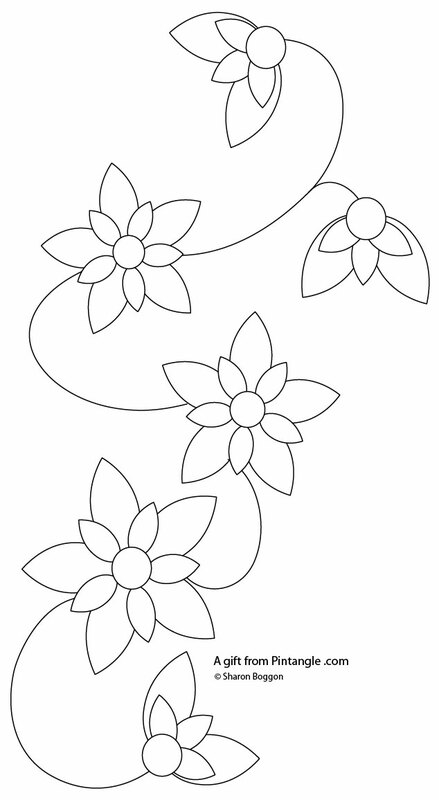 I hope you enjoy stitching my hand embroidery pattern for a floral border. Thank you for a lovely embroidery pattern, Sharon. This could be good just embroidered on the edge of something, or on a CQ seam. I’ve never heard of the Transdoodle product before and will try it now. I have used dressmakers carbon with poor results. This copying a designs onto fabric is my biggest problem with stitching so I’m so happy to hear you recommend this product. I like the pattern Sharon. I’ll try to get it stitched this week.